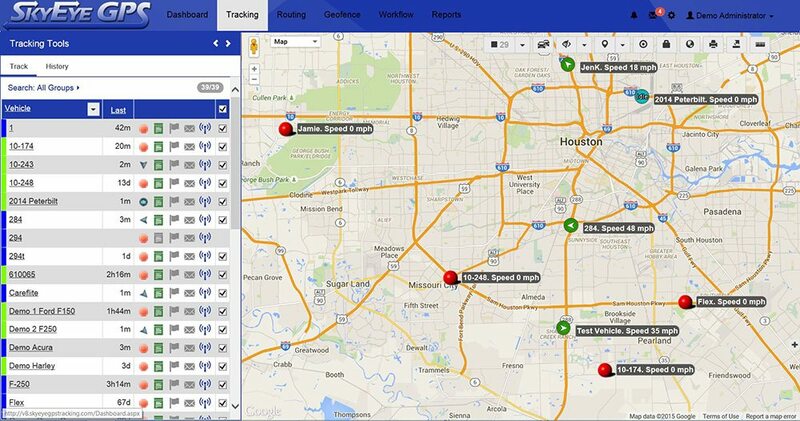 The SkyEye GPS Fleet Management solution is much more than just location tracking. 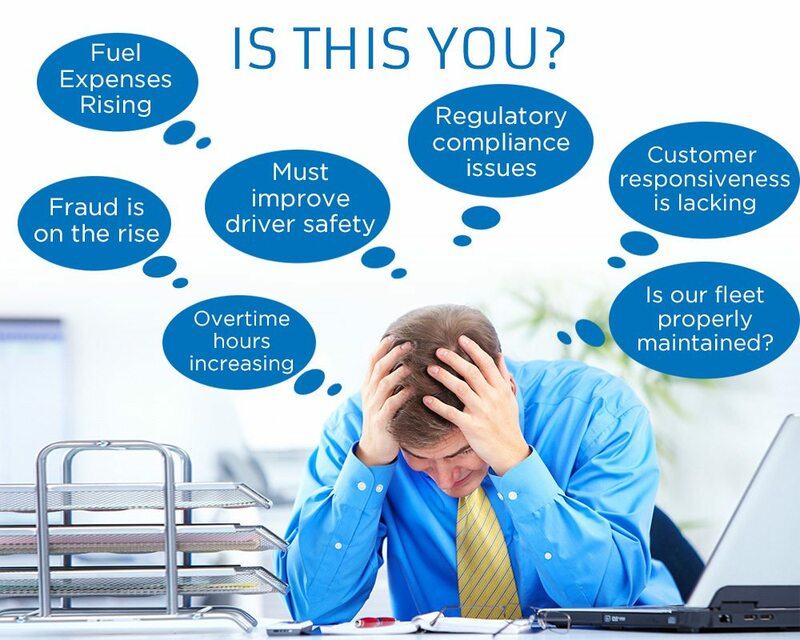 It gives you the power to reduce the expenses that plague business today such as fuel, maintenance and employee overtime while improving driver safety, staff productivity and customer responsiveness. SkyEye GPS can also track and manage your assets. 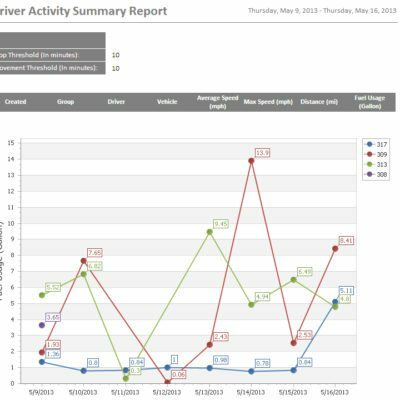 Driver Identification – Detailed records of who is driving each vehicle and even prevents your vehicles from starting if the driver is not properly identified. 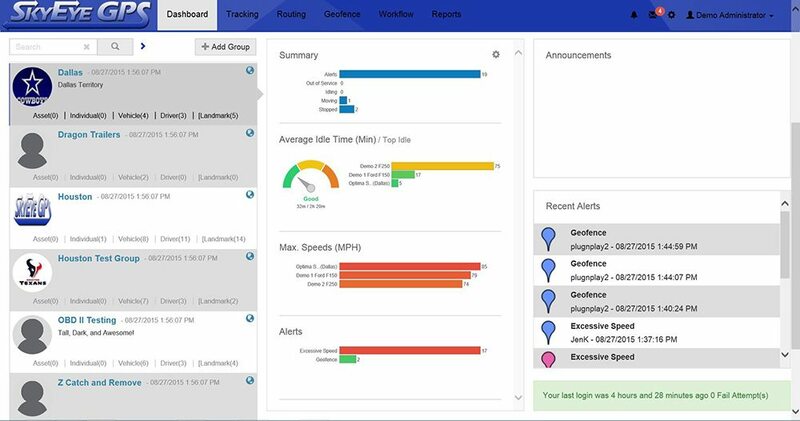 Vehicle Diagnostics – See real time engine diagnostic information for your vehicles from any computer, smart phone or tablet such as odometer, fuel level, engine temperature, battery voltage, RPM’s and diagnostic codes. 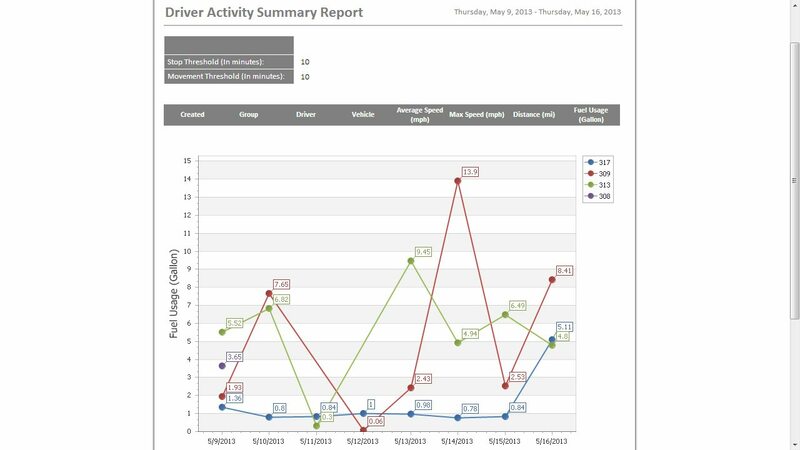 Important Data – Receive real time information from your vehicles and assets such as temperature of a climate controlled area, activation of PTO or on board equipment, etc. 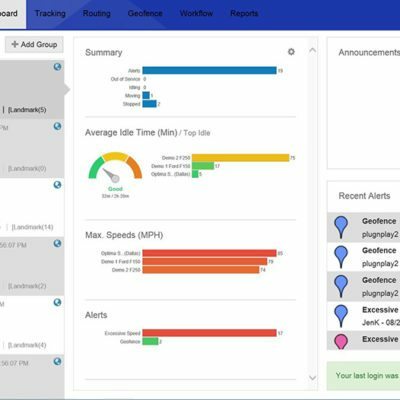 Maintenance scheduling – Schedule maintenance intervals for your vehicles and receive reminders of when maintenance is due. Also, store detailed records of completed maintenance including copies of service invoices. Custom Integration – Use our pre-built web services or let us create a custom integration to send and receive important vehicle/asset information to/from other software platforms that you use to run your business. Sensors can be attached to these devices to gather more data such as temperature, door open and closed, and even fuel monitoring. Field workers can also be equipped with a small GPS tracking device to ensure safety and productivity for all workers. In case of emergencies, Panic/SOS buttons can also be used to bring help fast, all thanks to the great security features of the SkyEye GPS tracking platform. 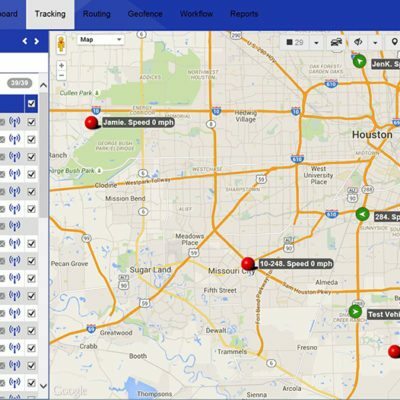 Interested in SkyEyeGPS Fleet Management?